Since writing my first novel I discovered a renewed love of quotes, I’ve found them inspiring and a great motivation on those days when my mind has felt blocked. 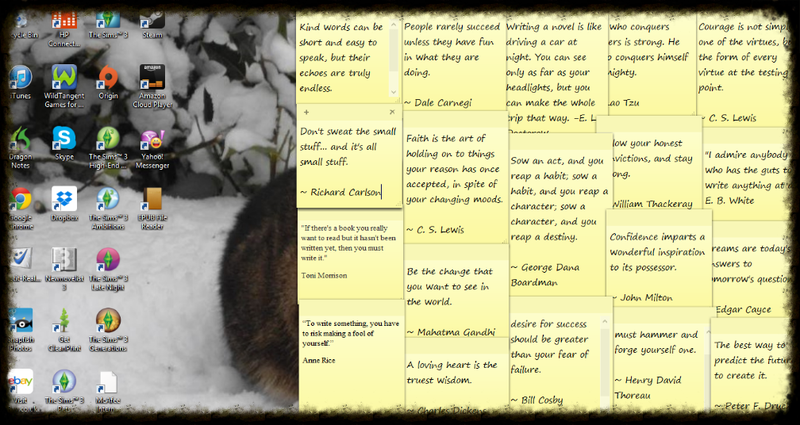 There are so many wonderful quotes out there that my computer desktop has become almost covered in post-it notes full of my favourite ones. I will update this page every couple of weeks with a quote on a Monday morning, for anyone who likes to read them like I do. “We are all apprentices in a craft where no one ever becomes a master.” –Ernest Hemingway. Me too, they really help sometimes. Ernest Hemingway quote is a great one. I’m going to add it to a posit not on my laptop as soon as I get it back. My favourite one for today is- “Nothing happens unless first a dream,” – Carl Sandburg.